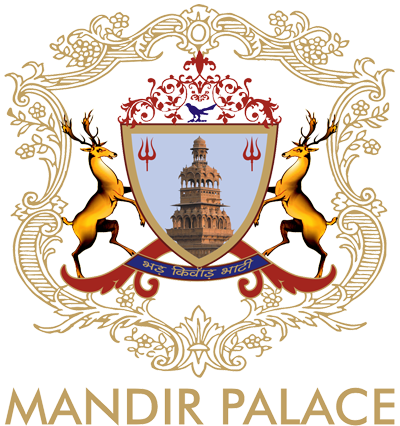 Mandir Palace has 28 elegantly appointed rooms, which include 21 Deluxe Rooms, 5 Golden Suites and 2 Surya Mahal Suites. 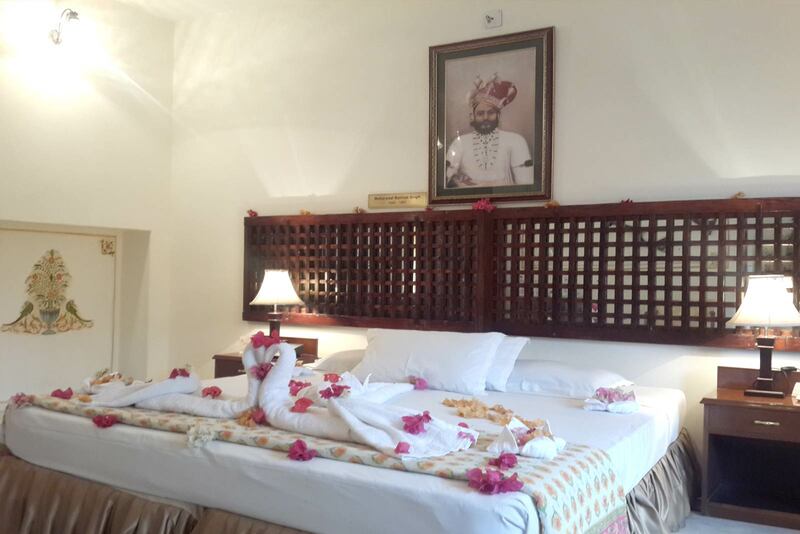 The Rooms and suites are tastefully furnished to meet the requirements of the modern traveller. 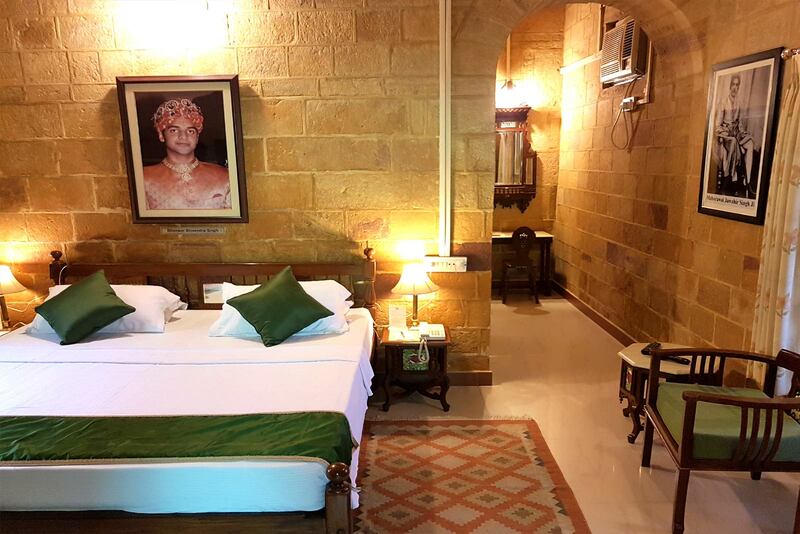 The Surya Mahal Suites date back to 1900 and 1914 and were the private rooms of Maharawal Jawahir Singh ji of Jaisalmer. 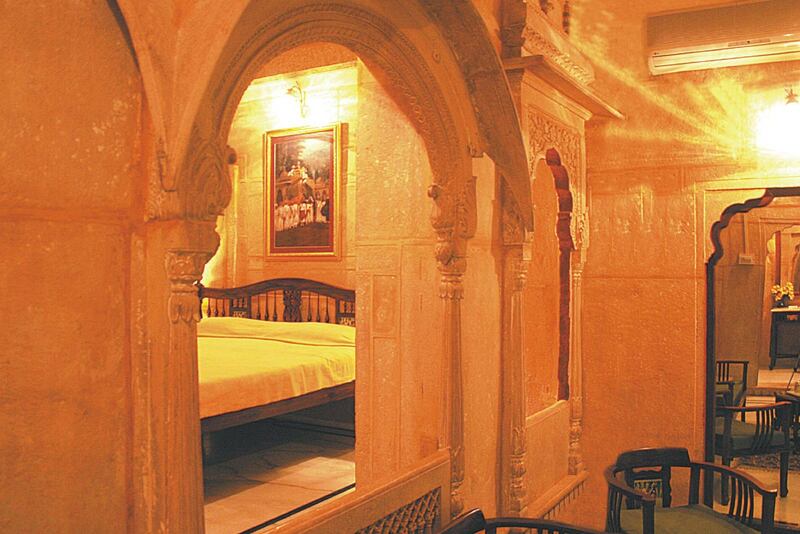 These suites have private balconies and one can get a glimpse of the Jaisalmer Fort from these suites. 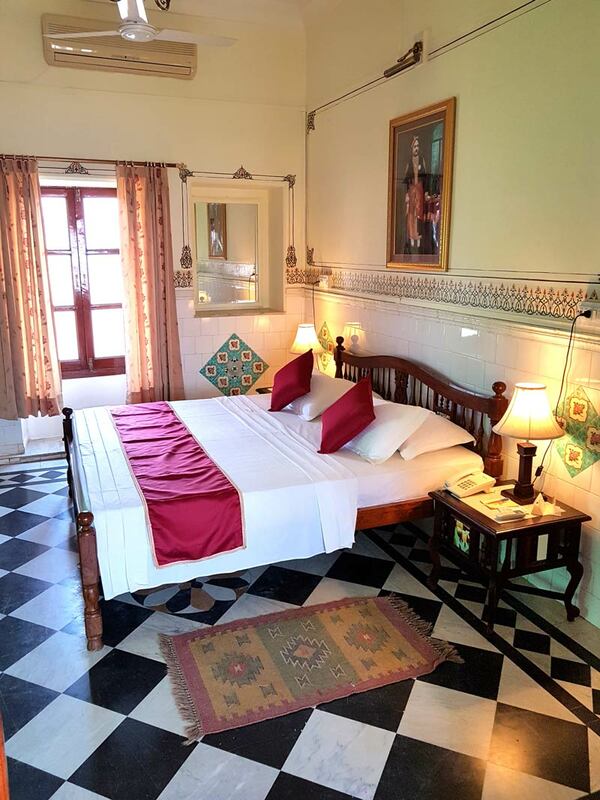 The 1900 Surya Mahal Suite has been decorated with hand-made tiles and has fresco work on the walls along with Italian Marble floors. 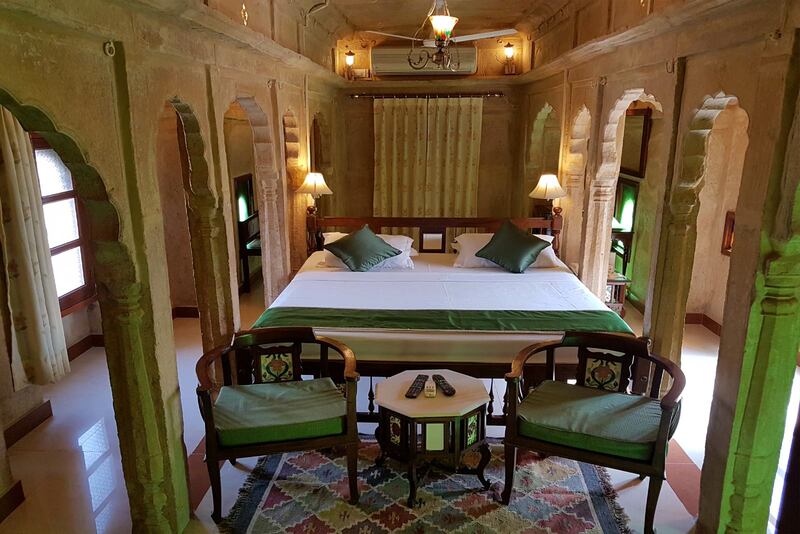 The 1914 Surya Mahal Suite has intricate stone carvings in the interior side of the suite along with Italian Marble and Jaisalmer stone floors. 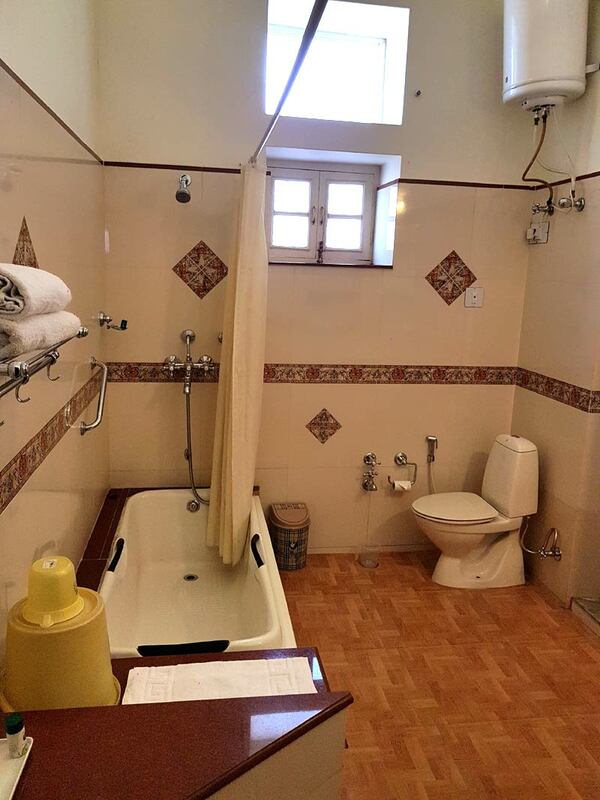 Each of the suites has been pictured and posted in the Gallery section of this website if you would like to reserve a particular one of your choice. 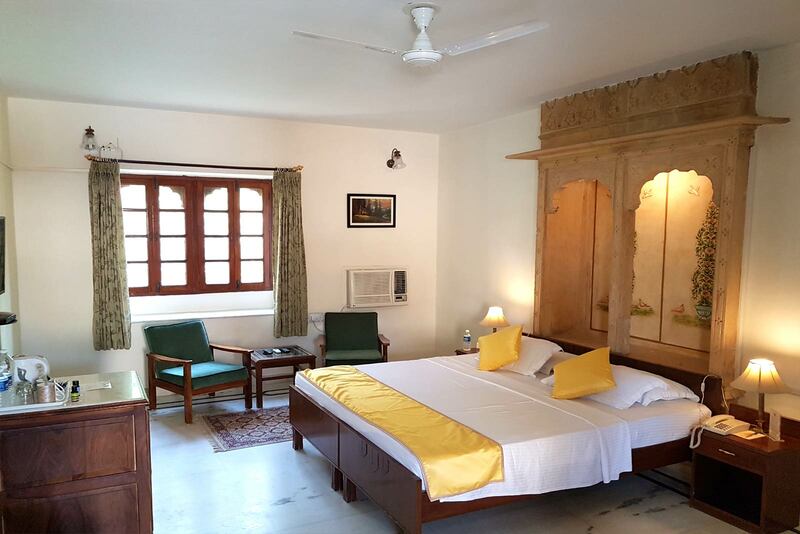 The Golden Suites date back to 1770, 1780, 1790 and 1850 and were the personal rooms of the royal family which have been now converted into Palace Suites. 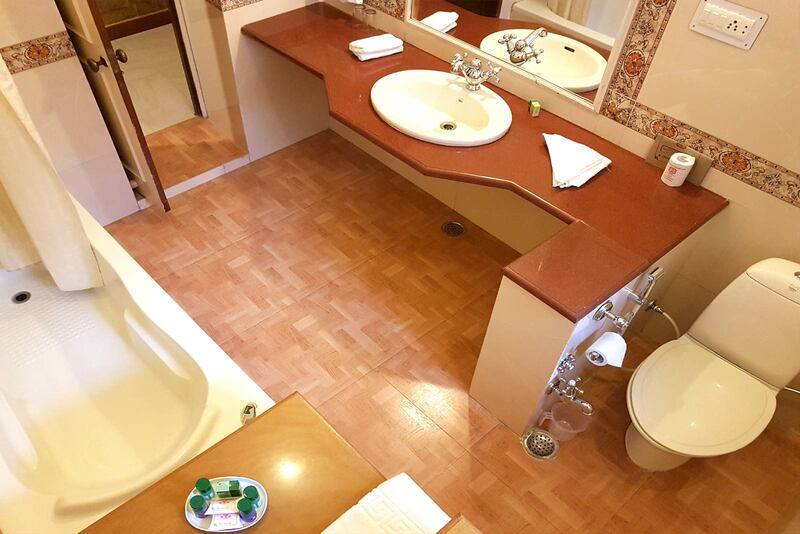 Each suite has a different character and history attached to them. 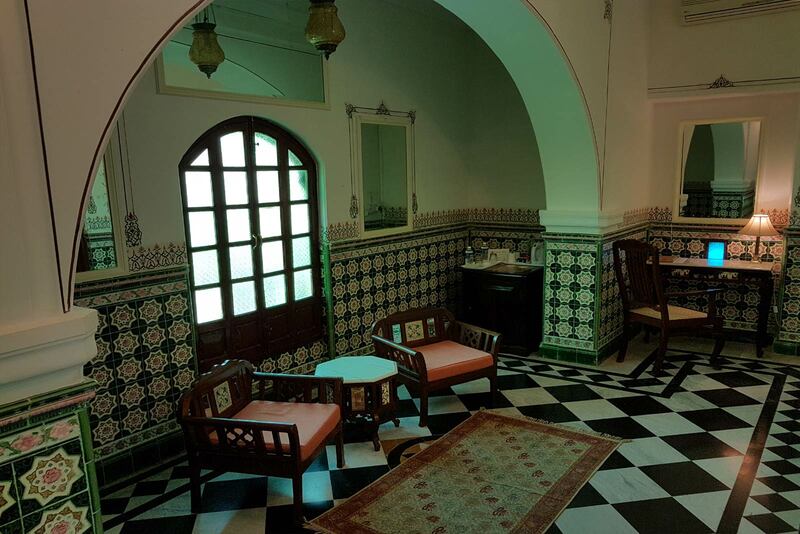 They have yellow stone interiors which reflect the décor prevalent in that period. Each of the suites has been pictured and posted in the Gallery section of this website if you would like to reserve a particular one of your choice. 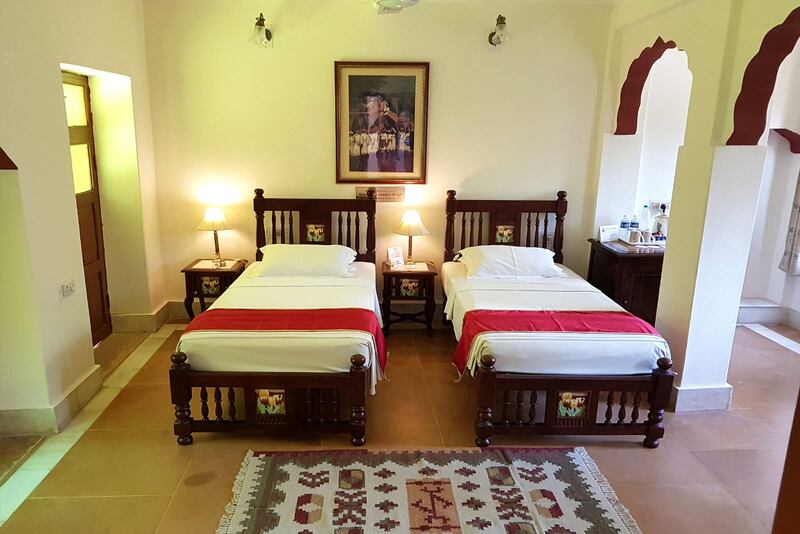 The Deluxe Rooms are a mixture of old and new well appointed palace rooms which have been refurbished to ensure maximum comfort to the guests. 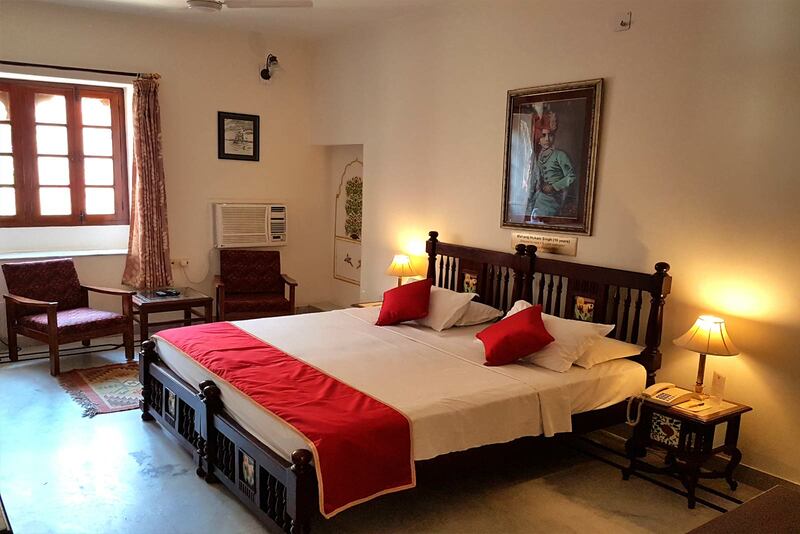 The rooms have spring mattresses, complimentary wi-fi, tea & coffee maker, in-room safe, mini fridge and LED televisions with satellite channels. For ultimate bathing experience toiletries of Biotique are being used. 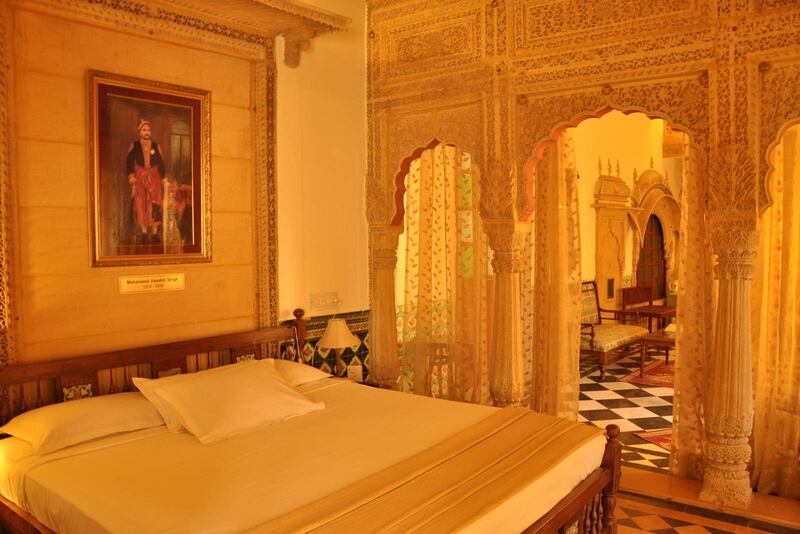 The deluxe rooms are spread across the Palace and vary in décor and size since it is a heritage property.